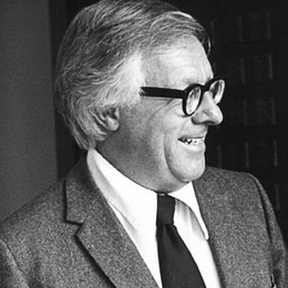 I love Ray Bradbury, not just as a writer, but for the guy that he was. To me, he was one of the few people in the world that I deem worthy of the phrase "personal hero." I have made that clear here on this very blog. Also, I love the quotation I have typed above. I really do love it. But it bothers me -- aches a little on the fringe of my mind, the way the sense of a mostly-forgotten, unfulfilled obligation does. Ray, as you can see if you care to watch the video I have embedded below, was a big proponent of doing one's own thing -- of choosing one's own direction and sticking to it, no matter what anyone says; of, as you can see, jumping off of the cliff and worrying about the consequences and strategies later. This is very Romantic and very poetic and very Bradbury, but I have to wonder: would he have been giving this advice if the world had not embraced him over the span of his long and illustrious career? You only really hear the big successes saying things like this, don't you? For the rest of us, it is more complicated than that, really. How many others jumped and then started cobbling their wings together and didn't get the job done before they exploded into a red star-burst on the rocks below. Sure, some of the rock-smashed unfortunates didn't have the skill or the talent to build the wings well enough or quickly enough. But how many real, eternally obscure geniuses were blown off course or had heart-attacks on the way down? -- simply got back-handed by fate? Anyway, few have deserved to become a legends as much as Ray did, may he rest in peace. I hope he is young and strong again and running warm-blooded and full-speed into a Martian sunset and I hope those less fortunate geniuses, those who never got to sum up their lives in video interviews, get to hang with him up there, leaping John Carter high -- higher than Earth's gravity ever allowed them to. Murphy's non-advice advice made me look into the MFA program those kids in the audience attend. It's three years, $32,175 per year. Few of those kids will ever be successful actors, directors, or screenwriters; for nearly $97,000, they ought to be hearing more than "believe in yourself!" from someone who can't imagine not being successful. I agree. Maybe if they just added: "Believe in yourself and make sure you get really lucky, too."